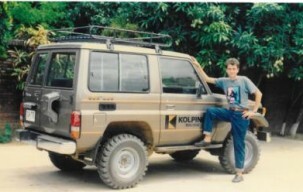 This week, I am heading to Santa Cruz de la Sierra, Bolivia, for the 2015 LACEA meeting. Great opportunity to meet the best Latin American researchers, as well as many good friends. Now, this year also brings me back to 1991, when I last visited the beautiful city of Santa Cruz, as the above picture proves. On August 31 and September 1, 2015, I took part in the conference “Fighting Corruption in Developing and Transition Countries” at the Stockholm School of Economics. 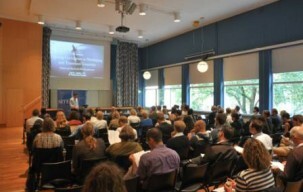 The program of the conference, organized by the Stockholm Institute of Transition Economics (SITE) and the ASWEDE network, brougt together leading researchers across all fields of economics (and in particular development economics and procurement) contributing to the debate about corruption, its effects, and the optimal tools to fight it. Some pictures of the event can be seen here. This paper empirically investigates the link between public officials’ experience and career path and the public procurement process. Using an unique data set covering more than 3 millions procurement contracts of medical supplies, hospital equipments and pharmaceuticals organized by Brazilian public bodies over 10 years (2000 to 2009), together with a comprehensive data set tracing individual job experience and characteristics of all public and private formal employees in the country since 1998, we identify how career paths of individuals involved as purchase administrators or working for private providers determine procurement outcomes: probability of a firm obtaining a contract, contract value, volume, acquisition price, and awarding procedure (invited bidders, restricted bidders, electronic auction, direct purchase). We are particularly looking at so called “revolving door” issues. We match the two datasets above to systematically identify career changes in two directions. Officials may work first for a public body and then join a private supplier. Alternatively, officials may work first for a private supplier before joining a public body. When analyzing contractual outcomes at a given date, we consider both past and future movements, and all related lags. We develop a three-tier agency model of procurement à la Laffont-Tirole (1993), in which we embed public officials’ revolving door concerns following Che (1995). 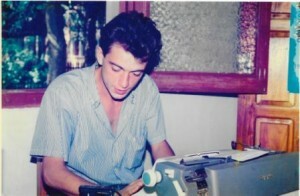 We derive from it predictions on our outcomes of interest (contract going to connected firms, prices and quantity), depending on the way the official tries to enhance the probability of post agency employment in the industry. We show that in the basic model, stronger monitoring effort by public officials seeking to signal competence on the job leads to higher quantities and prices for the firms they are targeting, while lenient or collusive behavior in the form of decreased monitoring effort leads to lower quantities and prices. We then decline this model to fit the timing and direction of the revolving door relationships we observe in the data and derive corresponding predictions that we take to the data. 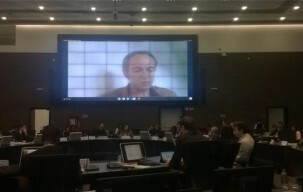 Este miércoles 15 de julio, estuve hablando por videoconferencia en el panel “La innovación en las compras públicas como instrumento de desarrollo regional” de la Reunión Regional sobre Sistemas de Compras Públicas en América Latina y el Caribe, organizada por el Sistema Económico Latinoamericano y del Caribe (SELA) en la sede de la UNASUR en Quito, Ecuador. En mi presentación, hice un breve recuento de la evidencia empírica existente sobre los mecanismos que se implementan en el marco de las compras públicas para favorecer ciertas categorías de empresas o ciertas prácticas, con el objetivo de alcanzar objetivos de política industrial. Mi presentación puede verse aqui. 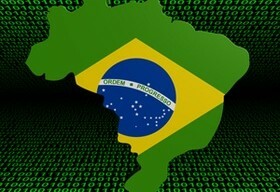 On March 13, we had a one day workshop at IPEA in Rio (also with the support of FGV). The program was packed with exciting new work on public procurement and great presenters (including Stephan Litschig, Dimitri Szerman, Decio Coviello, André Trindade, and Klenio Barbosa), as shown in the program. This paper empirically investigates the link between public officials’ experience and career path and public procurement contracts. Using an unique data set covering 10 years of procurement contracts of medical supplies, hospital equipments and pharmaceuticals organized by Brazilian public bodies, together with a comprehensive data set tracing individual job experience and characteristics, we identify how career paths of individuals involved as purchase administrators or working for private providers determine procurement outcomes: probability of a firm obtains a contract, contract value, volume, acquisition price, and awarding procedure (invited bidders, restricted bidders, electronic auction, direct purchase). We are particularly looking at so called “revolving door” issues. We analyze career changes in two directions, and all their potential implications. Officials may work first for a public body and then join a private supplier. In this case, we may expect “backward” distortions if this appointment is the reward for past favors to the firm, or “forward” ones if it is an investment to benefit from the contacts and knowledge of the official. Alternatively, officials may work first for a private supplier before joining a public body. Again, we may expect “backward” effects if this public job rewards past deals such as collusion, or “forward” ones if the new appointees favor the firm for which they worked previously. Relying on such data set, we show that in several instances the movements of procurement officials significantly affect procurement outcomes: volumes delivered, price paid by the government, type of procurement contracts used, and some measures of mismanagement. Interestingly, we uncover both positive and negative effects of revolving door individuals on the efficiency of procurement, and analyze the likely channels for these effects. 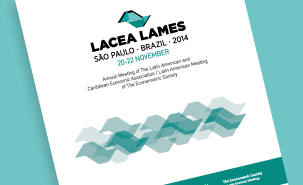 From November 20 to 22, 2014, the LACEA (Latin American and Caribbean Economic Association) and LAMES (Latin American Meeting of the Econometric Society) conference took place at the School of Economics, Business and Accounting at the University of São Paulo (FEA-USP). – Stephan Litschig (IAE, Barcelona) presented MONITORING PUBLIC PROCUREMENT: EVIDENCE FROM A REGRESSION DISCONTINUITY DESIGN IN CHILE, from an ongoing experimental project with Maria Paula Gerardino, IADB and Dina Pomeranz, Harvard University. – Dimitri Szerman (PUC-Rio and Climate Policy Initiative) presented DEMAND SHOCKS AND FIRM DYNAMICS: EVIDENCE FROM WINNERS AND LOSERS IN PROCUREMENT AUCTIONS, which is joint work with Frederico Finan, University of California, Berkeley and Claudio Ferraz, PUC-Rio. – Klênio Barbosa (São Paulo School of Economics – FGV) presented PARTY EXPERTISE, CAMPAIGN DONATION AND GOVERNMENT CONTRACTS: EVIDENCE FROM AN ELECTORAL EXPERIMENT (written with Paulo Arvate, School of Business – FGV and Eric Fuzitani, BrUsed). – Dean Karlan (Yale) presented a paper on pricing of pharmaceuticals: TO CHARGE OR NOT TO CHARGE: EVIDENCE FROM A HEALTH PRODUCTS EXPERIMENT IN UGANDA, joint with Greg Fischer, Maggie McConnell and Pia Raffler.